The team to represent Australia at the upcoming INAS Tennis World Championships in Bolton, England, has been announced today (Friday 3 February). The team of 6 players includes World number one Male (1) Archie Graham from Queensland and World Number two Female (2) Kelly Wren from NSW, they will be joined by Mitchell James (QLD), Damian Phillips (NSW), Josh Holloway (QLD) and Carla Lenarduzzi (VIC). This is the same team that represented Australia at the last World Championships in Delaware, USA, finishing on top of the medal tally with Gold in the Men’s Singles, Doubles, Team, Mixed Doubles; Silver in the Women’s Singles, Doubles and Team; and Bronze in Men’s Singles, team and mixed doubles events. 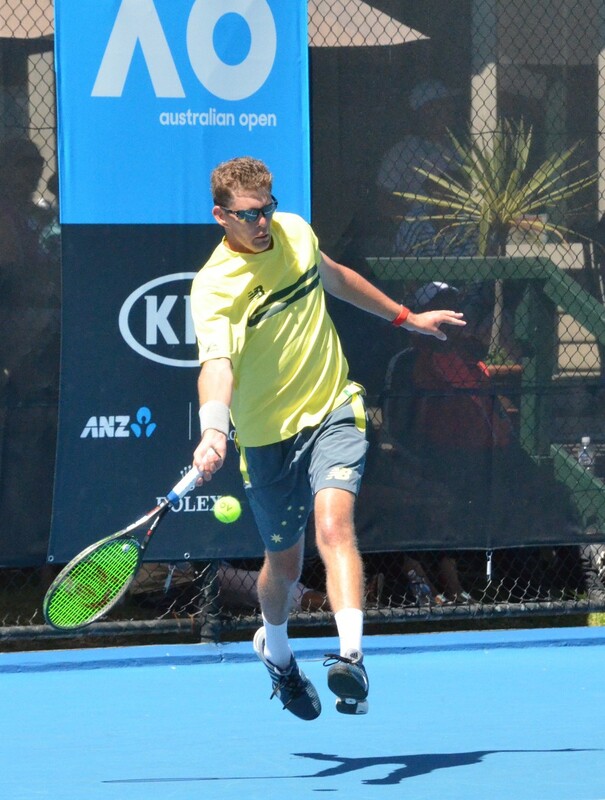 The team selection comes on the back of the Australian Tennis Championships held in Melbourne last week, which saw record entries and included a team of male players from Great Britain which included former World number one (1) Fabrice Higgins and number three (3) Thomas Mellor. “The Championships was a great opportunity to gauge how our players are performing, particularly with the participation of the players from Great Britain.” Alison Scott Head Coach said. It was much needed competition for the Australians, particularly in the doubles with Archie Graham and Damian Phillips playing off against the Great Britain pairing of Fabrice Higgins and Dominic Iannotti in the final, a match which could be a preview of the World Championship final. The Australian’s winning a close fought match 7-5, 6-4. Graham came up against the former World number 1 Higgins in his quarter final game in the men’s singles, a close fought match won by Graham. Graham finished second in the Singles to South Australia’s Sam Von Einem (5-7, 4-6), a surprise loss for the World Number 1. Wren heads to England keen to regain her World number 1 ranking, something she lost for the first time in the USA when she finished second in the women’s Singles. Undefeated for 17 years, the World Championship loss for Wren came as a surprise for all and has inspired her to work harder to regain her title and ranking. “We will head to England confident, as we have once again selected a strong team, however, with some recent surprise results we know anything can happen and our players won’t be taking anything for granted.” Jay Schuback, Team Manager. The team will assemble for a pre-departure camp in Brisbane in April before departing for England. The Championships will be played from the 9th to the 14th of April.